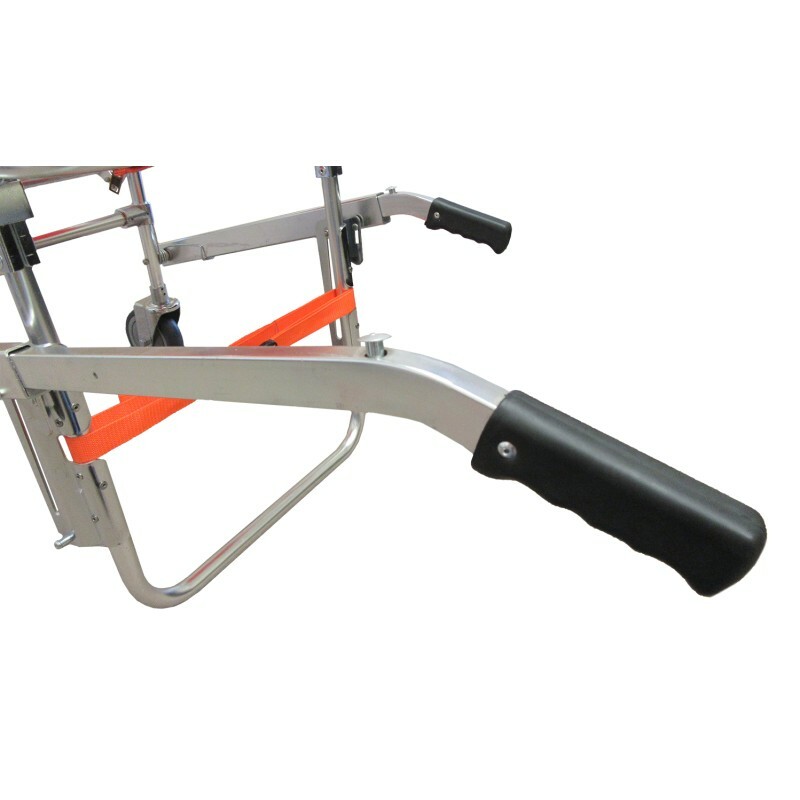 The stretcher is made of high-strength aluminum alloy materials. 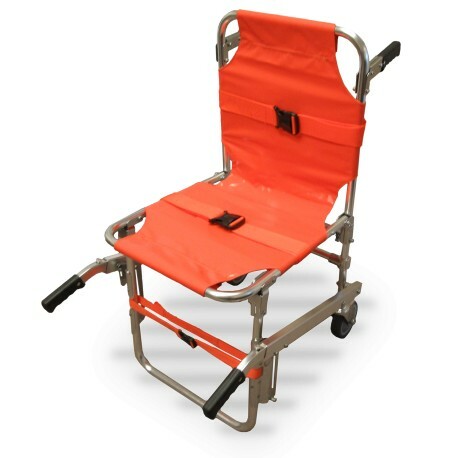 It is an ideal equipment for emergency staff to transfer patient to go up and down stair. Two stationary rear wheels enable the patients to be moved over most surfaces with minimal effort. The stretcher enhances the patient’s safety during transport process because of it’s 3pieces of restraint straps with quick-release buckle. Under the front of the stretcher, it has two flexible uplift rods. 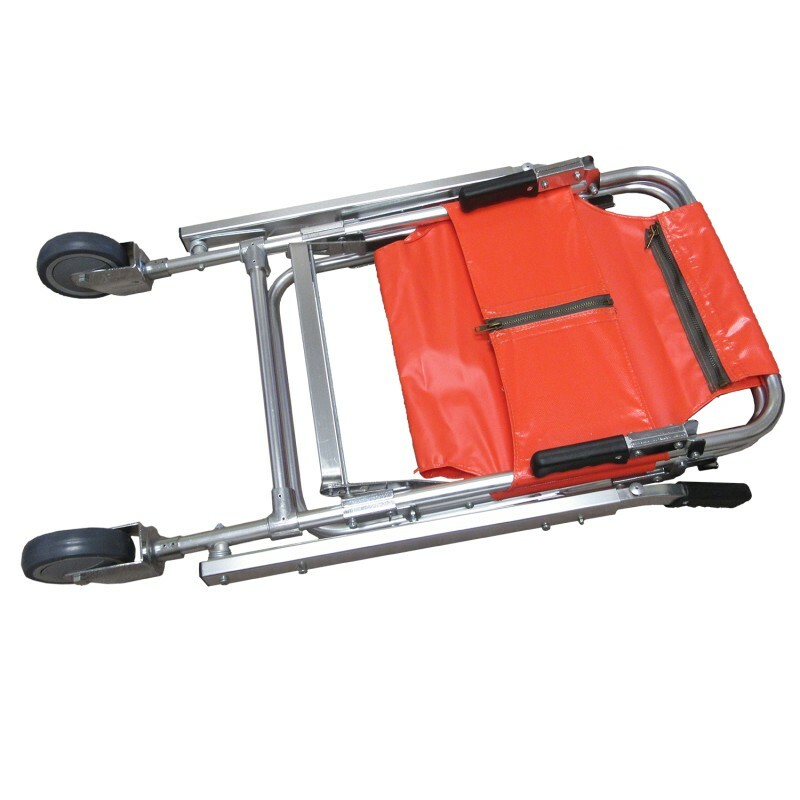 The stretcher can be folded and it saves the space in ambulance vehicle. It is light, compact size, easy to operate, safe and easy for sterilization and clean.